In my history of evaluating seller performance working for Amazon, I have seen a lot of merchants make decisions that land them in hot water with the online retail giant. In this article, I present five things for Amazon marketplace sellers to consider in order to avoid losing access to their accounts. While no post could possibly cover all the various scenarios that I see every week in my consulting work, this should provide a guideline for future reference. It’s a good idea for every seller to be aware when changes are made to product details on the items they offer. I had one client recently who sold successfully on a certain product line for months until a competitor came along and changed multiple product descriptions. Sizes changed, extra items or “free” items showed up in the bullet information, and even packaging specifics were altered. Before too long, this seller received buyer complaints for “wrong item sent” and “missing items” or items “not as described on your site.” Given Amazon’s penchant in recent times for taking aggressive action whenever “different item” complaints flow in, you’ll want to be as vigilant as possible on this front. If you detect any detail changes on your offer pages, contact Seller Support and open cases with your list of impacted ASINs. You may have to cancel orders or explain item differences if you don’t catch this in time, and that can lead to unhappy customers and trouble with Amazon. It’s easy to take a quick peek at your performance metrics and zero in on your great 99% feedback rating, or to celebrate the fact that you have no A-Z Guarantee claims to action. Are you paying as much time and attention to your on-time shipment and customer response time metrics? As an account consultant, I often see sellers fail to confirm shipped orders only to find a notice under “Your Orders” on their Seller Central account asking them to confirm shipment of around 144 orders. Some have even let shipping metrics slip into the yellow range before they show interest. On the Contact Response Time side, it’s common among sellers to respond Monday morning to messages received during the day on Saturday. That’s a lot more than 24 hours, and if you’re playing the Amazon game you need to keep it around seven to ten hours, if possible. This is the world’s most customer-centric company, and that’s not just a movie tagline. You don’t need to solve all order problems on the spot once you’ve read the message, but take some time to respond in a non-automated fashion. This will indicate to the buyer that you’re taking appropriate actions to research the matter. 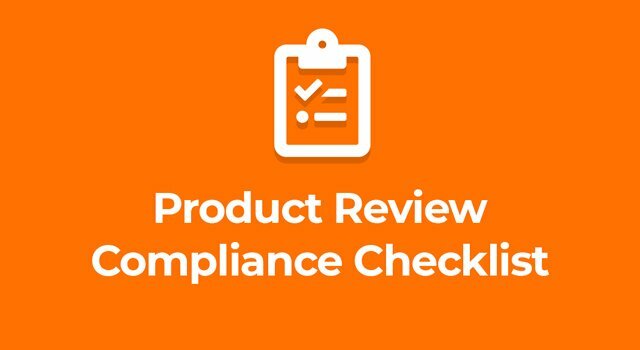 If Amazon prompts you to review a “potential customer complaint” on an item, conduct an immediate review of your listings against the ASIN, past complaints or returns on the item, and any bad buyer feedback left. You will not get the policy teams or anyone in Seller Support to give you quotes from the reporting buyer, but you can show that you’ve taken the complaint seriously by emailing into the queues with a worthy response. If nothing else, you’re taking preventive action on future similar problems and your account will be annotated. If this is the second report on the same item, decide if it is worth the risk of selling those items at all. Multiple complaints often result in canceled listings, and too many “strikes” may end in an account suspension. Don’t just issue a refund and forget about these complaints without looking into them. Investigate further by asking the buyer what specifically was wrong with the item. Find out if it was damaged in transit, or if the item came defective from the manufacturer. Then take all necessary steps to prevent it from happening again. Along similar lines, if you receive a Notice of Infringement notifying you that your listings have been canceled due to a rights owner report, look into the matter right away. If you’ve been reported for selling something you weren’t authorized to sell or you need an erroneous notice form rescinded by the rights owner, acting immediately could strongly improve your chances of avoiding a suspension down the road. If you are using Amazon’s commingled inventory FBA program, then be sure to sticker your inventory. Labeling helps Amazon identify inventory as yours and yours alone, which becomes important if you receive a policy warning from Amazon saying that a buyer reported you for counterfeit items. If FBA sends out your order using commingled inventory from a seller with bad product, then this may be your best layer of protection. Overall, Amazon takes the need to protect the marketplace very seriously and to ensure the best buyer experience, you should, too. Naturally, you can always retain the services of a consultant like me who understands both the game and the players if you run into trouble. But before trouble comes knocking, you could prepare a list of your internal contacts and keep in touch with them from time to time. You may have an account manager from your earliest days on the platform who is still at Amazon or knows another manager to map to your account. Or, you may have made specific category contacts during your onboarding process. While it’s true that many Amazonians move around the company after a year or two in one role, your connection may be able to assist you in finding the right path to resolution.